Lake Tahoe Skiing, Golfing, Fishing, Boating, Biking, Hiking, Camping, etc. Find all the best Things to Do in Lake Tahoe! Search by Region, Type, Rating and Difficulty! 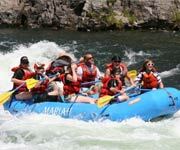 Tributary Whitewater Tours feature exciting adventures through the California whitewater! During the Summer You'll Find Lake Tahoe teeming with Boats, Campers, Hikers and More! 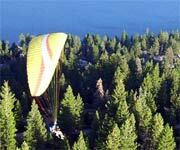 With an infinite number of fun things to do in Tahoe during the summer, you could never get bored. The lake itself is an enormous draw to boaters, fishermen, water skiers and more. Lake Tahoe has many beautiful beaches where you can catch some rays and enjoy a nice book. The hundreds of hiking trails in the Tahoe Basin range from easy to expert difficulty, and camping is one of the most popular summer things to do in Lake Tahoe. Action Water Sports of Incline Village - Action Water Sports is located at Incline Village on the Northeast shore of Lake Tahoe. Offering everything from kayak rentals to boat rentals including 55 foot catamarans, Action Water Sports is your source for summer fun and things to do in Lake Tahoe. Be sure to make reservations ahead of time as rentals tend to be very popular during the summer. Fishing on Lake Tahoe - Easily one of the most popular things to do in Lake Tahoe for groups, families and solo fishing enthusiasts. Tahoe boasts plenty of licenced (and fun) fishing guides, skippers and crew with decades of experience fishing in the crystal clear waters of Lake Tahoe for Mackinaw (Lake Trout), Rainbow Trout, Brown Trout, and Kokanee Salmon. Lake Tahoe fishing guides take off from both the North and South Shore and have a variety of type and sized boats including 24', 30', and 45' 'ers! 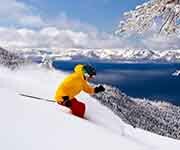 Winter's in Lake Tahoe are a real winter wonderland, filled with activites everybody is guaranteed to love! Some of the Top Winter Activities Include Skiing and Snowmobiling. Squaw Valley Ski Resort: The Sierra Nevada Mountains offer breaktaking views and exciting slopes. 4,000 acres of spread across 6 mountain peaks to make up Squaw Valley USA Ski Resort for skiiers and snowboarders at every level of expertise! The resort has 30 lifts and North America's only Funitel! This is a ski resort that goes the extra mile - offering up the best of Tahoe! 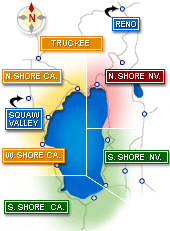 Sierra Mountain Sports of Lake Tahoe - Situated in South Lake Tahoe, Sierra Mountain Sports is the place to go to rent snowmobiles. Their friendly staff will teach you the basics and give you advice about specific trails and fun places to check out. Snowmobiling is easily one of the best things to do in Lake Tahoe during the winter and shouldn't be missed. 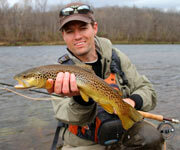 Join an experienced guide and fish for Mackinaw (Lake Trout), Rainbow Trout, Brown Trout, and Kokanee Salmon. Welcome to Tahoe's Best guide for Places to Go and Things to Do in beautiful blue Lake Tahoe! Use this guide to find places you can go and things to do around the entire Tahoe basin - from North Lake Tahoe to South Lake Tahoe - all designed to help you enjoy the time you spend away from your hotel on your next Lake Tahoe vacation! Fishing Lake Tahoe and Watersports top the summer list of things to do while skiing and boarding head up Tahoe's Best winter list! 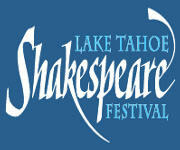 Lake Tahoe Shakespeare Festival - Tickets fm $15! Ski Homewood Mountain for Magnificent Views! Soar the skies and see Lake Tahoe from a perspective you won't find any other way! Go On An Adventure Down The Rushing River. 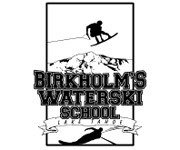 Ten Locations around South Lake Tahoe - Friendly and Knowledgeable staff, huge selection of ski and snowboard rentals. Lake Tahoe Helicopter Tour...See Lake Tahoe by Helicopter! Best summer fun things to do with kids in Lake Tahoe! Lake Tahoe Deals you won't want to miss out on! Check the weather in Lake Tahoe. Once you have figured out what to do in Lake Tahoe, check out the many Lake Tahoe hotels and resorts offering both premium and affordable accommodations. 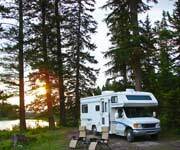 Vacation Rentals are another great idea when traveling with a group or family. They provide the perfect home-away-from home, and many are quite affordable. Since Tahoe vacation rentals feature fully equipped kitchens, you can save money while enjoying home-cooked meals. 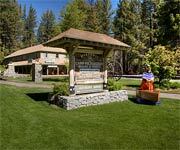 Check out our deals page to find great coupons and deals to save on your Tahoe lodging!